Mahishadal Raj College is the third oldest college in the undivided district of Midnapore and fiftieth one under University of Calcutta. The college was founded on August 1, 1946 by Kumar Debaprasad Gagra Bahadur, the then “Raja” of Mahishadal and a celebrity in the field of music and fine arts. Now the College is affiliated to Vidyasagar University since 01.06.1985, vide letter no. 983-Edn (U) dt. 23.05.1985. It is situated only twenty kilometers from both Haldia (a potential Industrial Town of W. B.) and Tamluk (the District Headquarter Purba Medinipur). The College has immensely benefited from its location in a lush green and unspoiled countryside. The result is a pleasant, placid campus which is free from all baneful influences unifies mofussit simplicity and urban refinement. The College was established at a period when Quit India Movement got its momentum at Mahishadal. Scores of lives were sacrificed here. The first National Government during the British colonial rule was formed and headed by Sri Satish Chandra Samanta, the beloved son of Mahishadal. Gandhiji came here and stayed for five days and extended full support to the Patriotic Congressman who indulged in some violent attacks against the British Raj. Nirala (Surya Kanta Tripathi), the famous Hindi Poet got his schooling here. The foundation stone of main building was laid by Sir Federick John Burrows, Hon’ble Governor of Bengal. 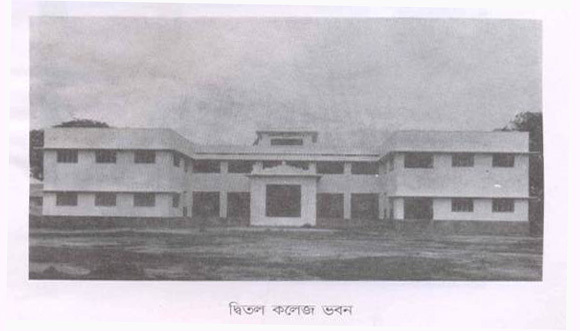 The College Building was inaugurated by Sri Kailash Nath Katzu, Hon’ble Governor of West Bengal on 3rd January, 1949. 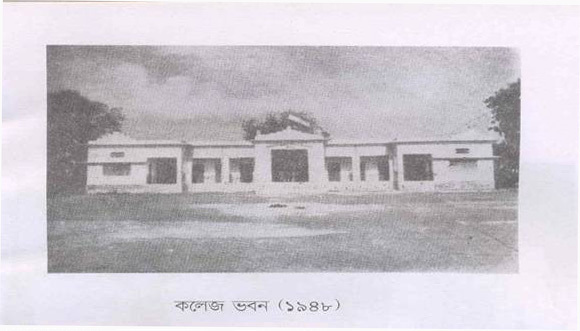 The Science Block was inaugurated by Prof. Satyendra Nath Bose, the famous Scientist and National professor on March 2, 1959. 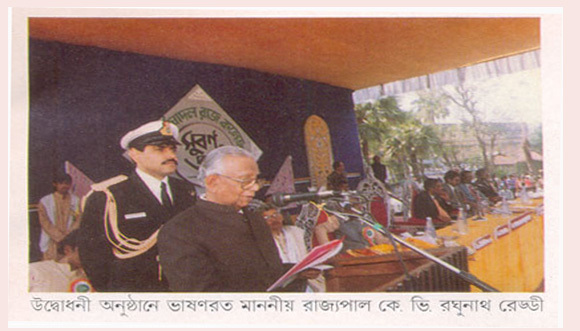 On February 3, 1996, Sri K. V. Raghunath Reddy, Hon’ble Governor of West Bengal inaugurated the Lib-Lab Building. The foundation stone of Diamond Jubilee Memorial Building was laid by Sri Gopal Krishna Gandhi, Hon’ble Governor, West Bengal on August 1, 2005.